The heat of our summer weather (36 degrees today) makes it perfect to play with dyeing. My studio is out of action so its downstairs into the dyeing room where I must be. I have just dyed these cotton sateen pieces with a combo of Procion MX and Drimarine thickened dyes. As I have a challenge to meet with a carnival flavour (more information about this later), I let my hands and mind go like wild fire, to create these background pieces. The next stage required is to choose one piece and begin work on it – probably handstitch given that most of my “ingredients” are stacked away until completion of the studio renovations. It’s been a 9 months wait for this to happen! Two days ago there was a roller door where the window now is. It was a cold drafty working environment. Took this photo today …(21/11/12) showing work in progress is moving ahead at full speed. 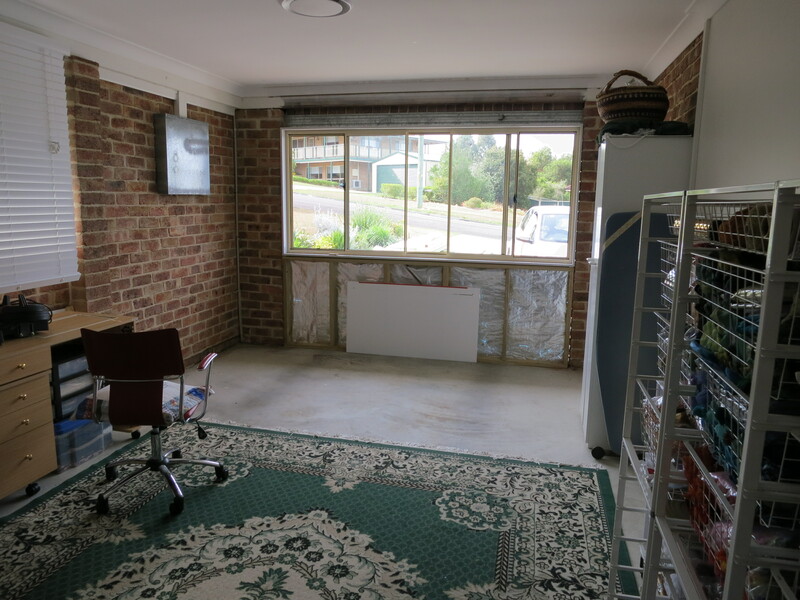 Will be all set up by Christmas…..if not before! 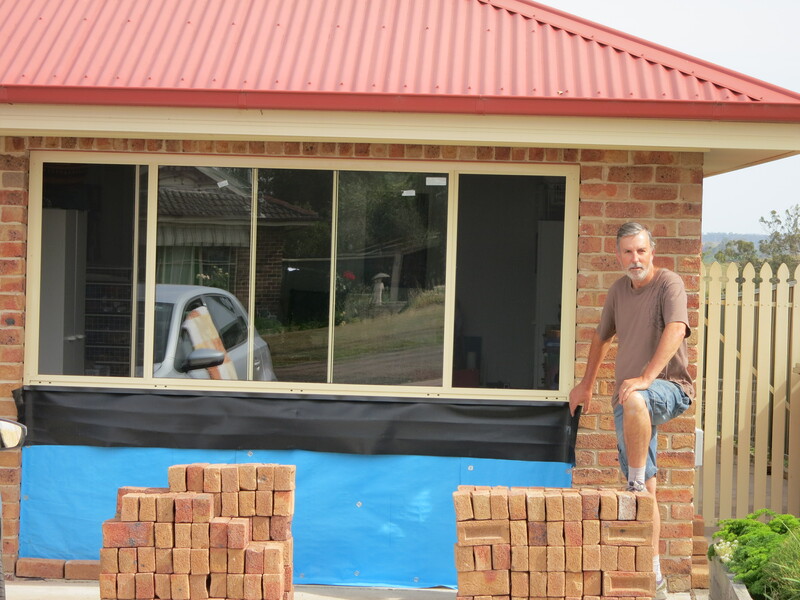 Creativity of a different nature………..
Work of a different nature is taking place here at Dungog. All of our renovations should be completed before Christmas. Anyway this is the reason I am being quiet on the creative front, just at the moment. A big plus is …. I am given more time for creative pondering and the percolation of ideas. Some quiet time may just be what I need to get off to a rip roaring start for 2013. Painting cotton fabric with a syringe and a brush – my mood was very loose indeed – as my hand took over and painted what seems to be my cat having a bubble bath (as a friend said it appeared to be). Anyway this “cat on a mat” is now in the home of a good friend who was caretaker of our 13-year-old cat Samera, for a few days, when the Mumford & Sons band was here at Dungog. I thought you would like to see this moment of fun. You are currently browsing the Crafty Quilting with Pamela blog archives for November, 2012.